Nicholas Stix, Uncensored: Jackie Robinson Hated America: So Why Do We Celebrate Him? Jackie Robinson Hated America: So Why Do We Celebrate Him? Sent: Fri, Feb 1, 2019 6:50 p.m. Pardon Our Error! Due to a technical mistake, our previous send of today's newsletter featured outdated content. Our apologies. "As we celebrate Black History Month and Jackie Robinson's 100th birthday, we celebrate the life of all whose courage opened the gates for everybody, and in the process, made America better," tweeted former U.S. President Barack Obama earlier today. Born on 31 January 1919, baseball great Jackie Robinson was the first African American to play in the major leagues in the 20th century. At the time he joined the Brooklyn Dodgers in 1947, professional baseball had been racially segregated for at least 60 years. Robinson went on to inspire millions of other Americans as a civil rights crusader. He would write in his autobiography that he found himself unable to sing the national anthem or salute the flag because "I know that I am a black man in a white world." Will "red ribbon nurses" kill abandoned babies under a 2019 New York law? Scaremongering over New York's Reproductive Health Act reached fever pitch in January 2019. Was Arminas Pileckas murdered for protecting a Swedish girl from harassment by an immigrant? Complicated cases and issues are often reduced to simple narratives that further political agendas. Are police seeking the removal of Nancy Pelosi for treason? An online petition advocating the impeachment of U.S. Speaker of the House Nancy Pelosi has garnered more than 100,000 signatures. Were President Donald Trump's border wall specs designed to benefit a Russian oligarch? A chain message made a series of questionable assertions about Trump's signature border wall and Russian steel magnate Roman Abramovich. Do Ghanaians have to wear their wedding clothes to get divorced? "There are numerous curious laws in different countries of the African continent." If there's no deal by 15 February, Trump has threatened to revive the shutdown or declare a national emergency. The Intermediate-Range Nuclear Forces treaty, signed in 1987, has been a centerpiece of superpower arms control since the Cold War. U.S. Customs and Border Protection officials announced their biggest fentanyl bust ever, saying they captured nearly 254 pounds of the synthetic drug. 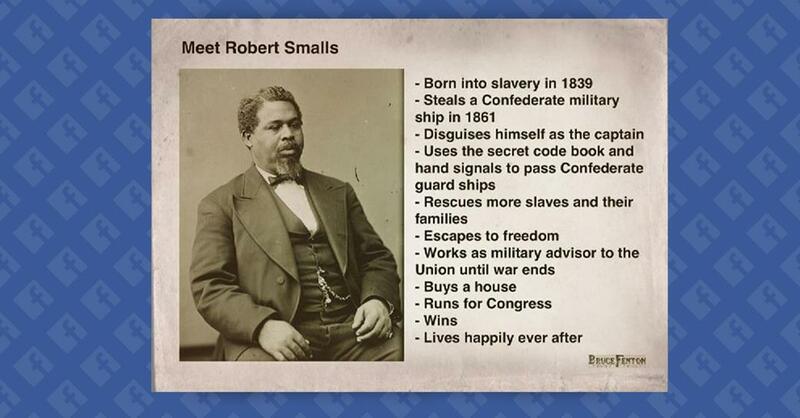 Did Robert Smalls Steal a Confederate Ship to Rescue Himself and Others from Slavery? A meme accurately recounts the life of a man born into slavery who stole a Confederate ship to rescue fellow slaves, became a war hero, and got elected to the U.S. Congress. In this era of misinformation run amok, our staff works tirelessly to help you sort truth from fiction. If you value our services, please consider putting a number to that value and make a direct contribution in support of our work. Thank you. © 1994-2019 by Snopes Media Group Inc.
Snopes and the Snopes.com logo are registered service marks of Snopes Media Group. According to Vin Scully Robinson the single one player that most changed around a game when he was in the line up. When Robinson on the field one type of game being played. When Robinson out of the line up another type of game being played. "As we celebrate Black History Month and Jackie Robinson's 100th birthday,we celebrate the life of all whose courage opened the gates for everybody, and in the process, made America better," tweeted former U.S. President Barack Obama earlier today." GRA:Question:Which America does he mean?The safe,hard working,white one,we had for 200 years?Or the one we see evolving into a filthy,bullet-ridden,drug addicted,welfare oriented country? Btw,Having Jackie Robinson's talent displayed was not worth the resulting destruction of the USA that we have seen take place since then.Give a nig an inch and they look like they're going to take the country. We would have been better off without blacks allowed into sports--no doubt about it. The below-the-article headline "NHL to celebrate Black history (or is that "history"?) month" is really nauseating- but then, they celebrate gay "pride" now as well. Used to be my favorite sport- wouldn't watch 'em for love or money now.
" Used to be my favorite sport- wouldn't watch 'em for love or money now." You can always watch football or basketball? Watch one team of negroes chase another team of negroes up and down a field or a court after a ball. Perhaps that is not such a good suggestion.